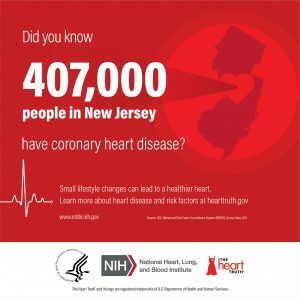 Februar y is American Heart Month to raise awareness about heart disease and ways to prevent it. Research shows that adding more fiber to your diet may help to lower blood pressure and prevent heart disease. Doctors always encourage patients to eat more fiber for good health. A study published December 4, 2018 in the CIRCULATION journal shows that a kind of short-chain fatty acid (SCFAs) called propionate that is produced from dietary fiber in the gut by bacteria, can prevent atherosclerosis and lower blood pressure in mice. Wild mice were given medicines to raise their blood pressure and to cause atherosclerosis. The mice received the short-chain fatty acid propionate or a control in their drinking water for 14 days. Those mice that got the propionate showed improvement in the function of their veins and blood vessels, reduction in the enlargement of their hearts, a reduction in arrhythmias and a reduction in high blood pressure. Propionate also showed an anti-inflammatory effect against the kind of inflammation that leads to high blood pressure. In general, propionate was shown to be cardio-protective. Based on this, the researchers suggest that lifestyle changes like including more fiber in the diet that could lead to more propionate production could be a non-pharmacological way to lower blood pressure and prevent heart disease. However, the main thing is to have the right gut bacteria that can produce propionate out of the fiber in the diet. Research is coming to show more and more the importance of having a healthy gut. The researchers also suggest that propionate might be taken as a supplement to prevent cardiovascular disease, as it has been shown to be safe. An earlier study also with mice published April 10, 2012 ln PLOS ONE showed that the short-chain fatty acids (SCFAs) propionate and butyrate may protect against obesity by suppressing food intake and protect against insulin resistance by regulating the release of gut hormones. Insulin resistance can lead to type 2 diabetes. Since both obesity and diabetes are also high risks for heart disease and high blood pressure, this may be another reason to get more propionate in the diet. The key is to have enough good gut bacteria to produce these short chain fatty acids from dietary fiber. If you or your loved one are in need of short-term rehabilitation or long-term skilled nursing care, be sure to choose a facility that offers fine dining with healthy, nutritious food like the Park Crescent Healthcare and Rehabilitation Center in East Orange, New Jersey. Besides a variety of menu options, the registered dietitian oversees those with special dietary needs and makes sure they are accommodated. These studies strongly suggest that dietary intake of fiber together with good gut bacteria can produce short chain fatty acids that can help combat the obesity epidemic, diabetes and cardiovascular disease.